Niagara-on-the-Lake is a town in southern Ontario, Canada which sits on the shores of Lake Ontario. It’s known to be Ontario’s wine country and is filled with over 80 wineries. I had never been to Niagara-on-the-Lake but had been wanting to visit since it’s only a two hour drive from Toronto and I LOVE wine. This super cute historical town features 19th-century buildings (primarily on their main street) and is the perfect spot for a weekend getaway with your hubby or girl friends. Here is some inspiration on how you can spend a couple days/weekend there. If you arrive early enough, have breakfast/brunch at the Hotel Prince of Wales, a historical and beautiful hotel located downtown Niagara-on-the-Lake. 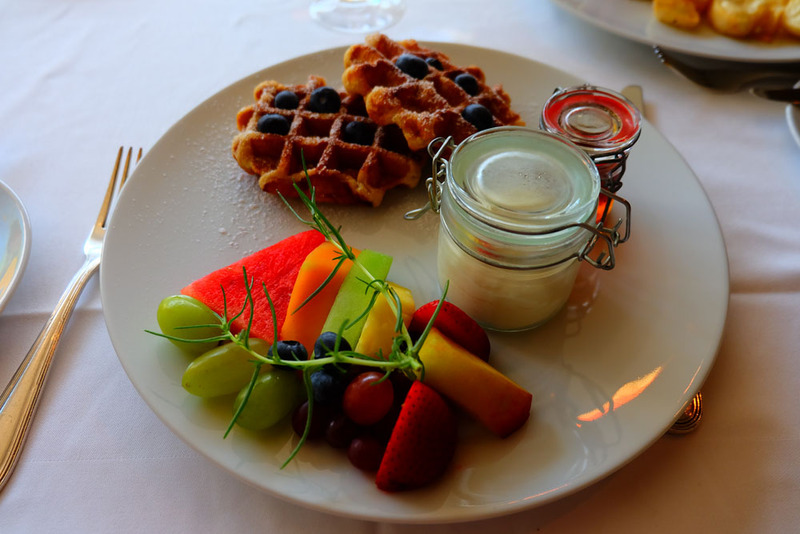 I found that it was very difficult to find a breakfast or brunch spot in town as I think the reason for this was so many people stay in bed and breakfasts that include breakfast with your stay. However, try this hotel for a classy breakfast or head to one of the local bakeries to get something sweet. After breakfast, head for a winery tour with Grape Escape’s. 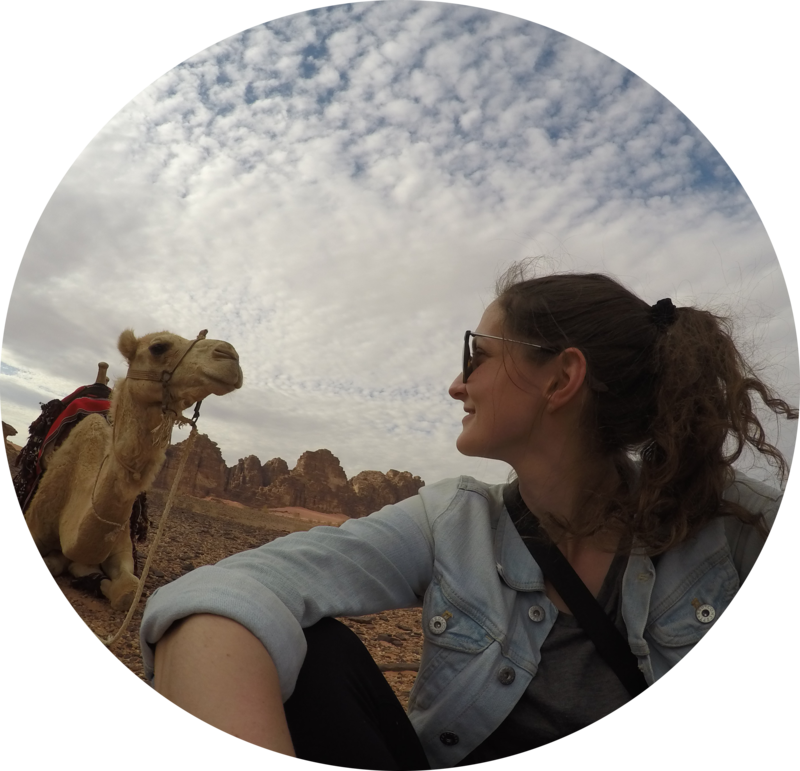 This tour company offers a variety of different tours including bike tours, tours that include lunch and/or dinner or tours done by a vehicle if biking isn’t your thing. 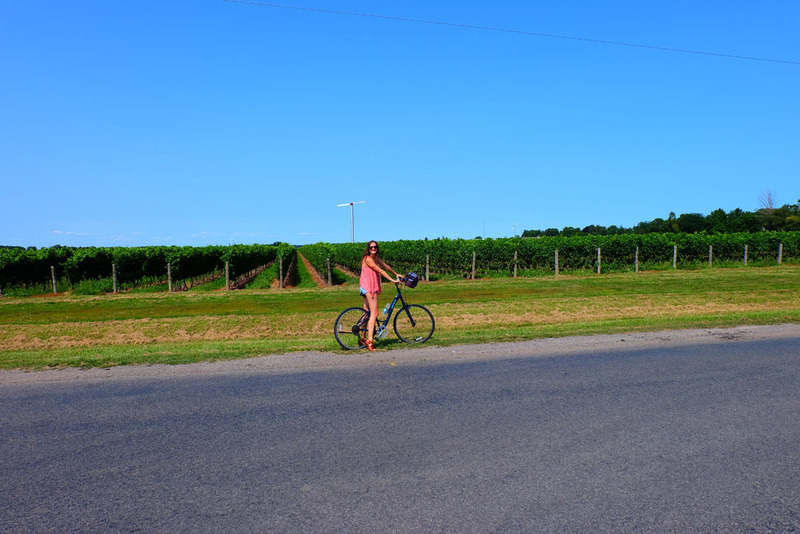 However, if you can, I’d highly recommend the bike tour as it gives you a chance to soak in the beautiful summer weather and bike along all the vineyards. On the bike tour we visited four wineries which were a combination of larger scale/corporate wineries to small, family-run wineries. The weather was perfect and the bike ride was about 15km total, however it was all flat and relaxing. Depending on your tour, you’ll likely finish just in time to check into your bed and breakfast. 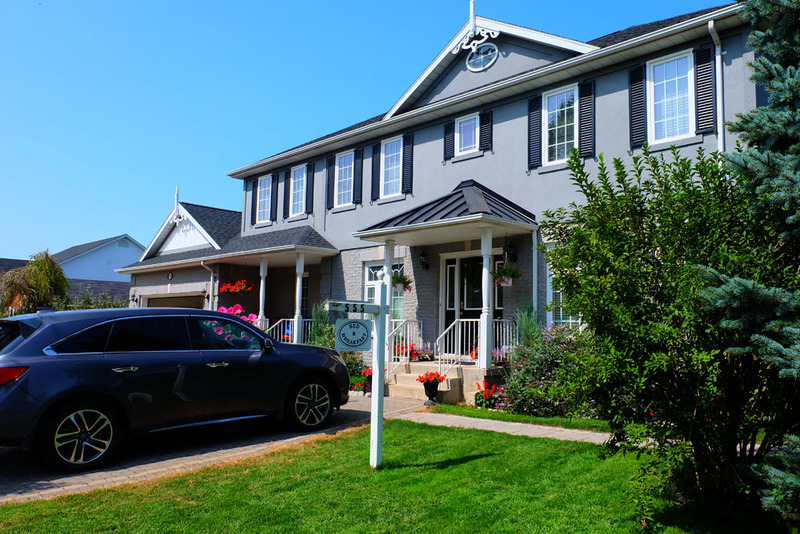 There are SO many bed and breakfasts in Niagara and they are by far the best places to stay to get the best experience while in the area. I stayed at Charlottown House B&B and it was fantastic. Owned by a Chinese couple who moved from Prince Edward Island to Niagara-on-the-Lake to start their very clean and friendly bed and breakfast. Book in advance, especially if you plan to visit on a weekend as accommodations book up quick! Once you’re checked into your room, it’s likely time for some grub and there are a lot of options to choose from depending on what you’re into. 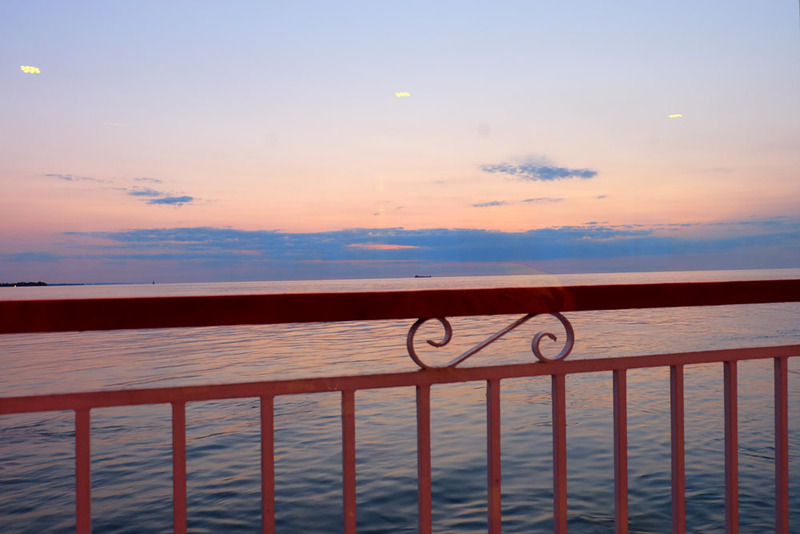 I went on a sunset cruise down the Niagara River with Niagara Sunset Cruises. However, although the meal and wine pairing was fantastic, I would definitely recommend this more for an older demographic or those looking to celebrate a special occasion. Alternatively you can head to one of these fantastic restaurants. Many of the local restaurants are located downtown and serve fantastic farm to table foods, and of course, a long list of local wines. 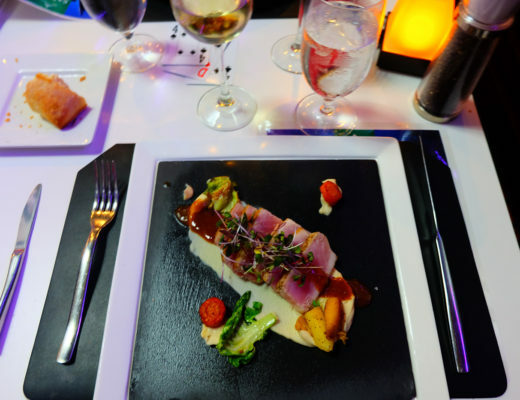 If you’re really into having a wine-tastic (see what I did there) dinner experience, you can also make a reservation right at one of the wineries who offer dinners in the winery. Wake up and enjoy your home cooked breakfast at your bed and breakfast. I loved having breakfast at our B&B and chatting with some of the other guests. 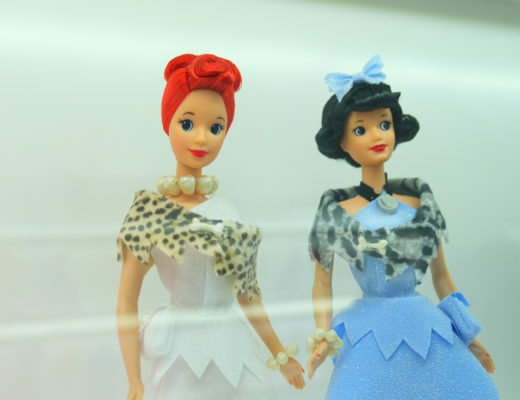 After breakfast head out to explore the main street of Niagara-on-the-Lake and all the cute boutiques they have to offer. I loved going in and out of the shops on the main strip and also checking out some of the cute houses and bed and breakfasts I saw along the way. Once you’ve seen the downtown, head to another winery (or two, or three…). The area is FILLED to the brim with wineries and it’s impossible to see them all in one stay. 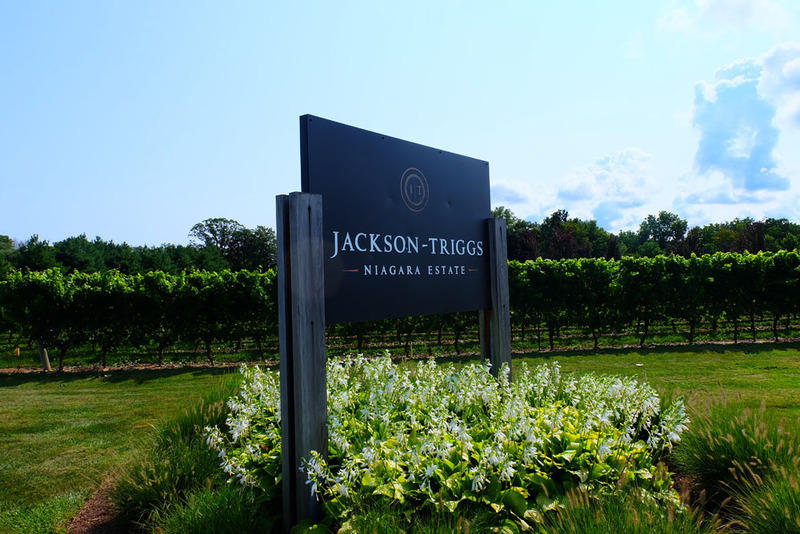 From our B&B Jackson Triggs wasn’t to far away and since we didn’t get to go on our bike tour we did with Grape Escape’s we headed there on our own to go try some of their wines. You can choose to do another organized tour of wineries this day, but it’s just as easy to do them on your own to depending on how many you want to visit. If you’re over wineries for this trip, you can also head to a couple of the breweries. There are a few breweries in the area such as Silversmith Brewery and Niagara Oast House Brewers. 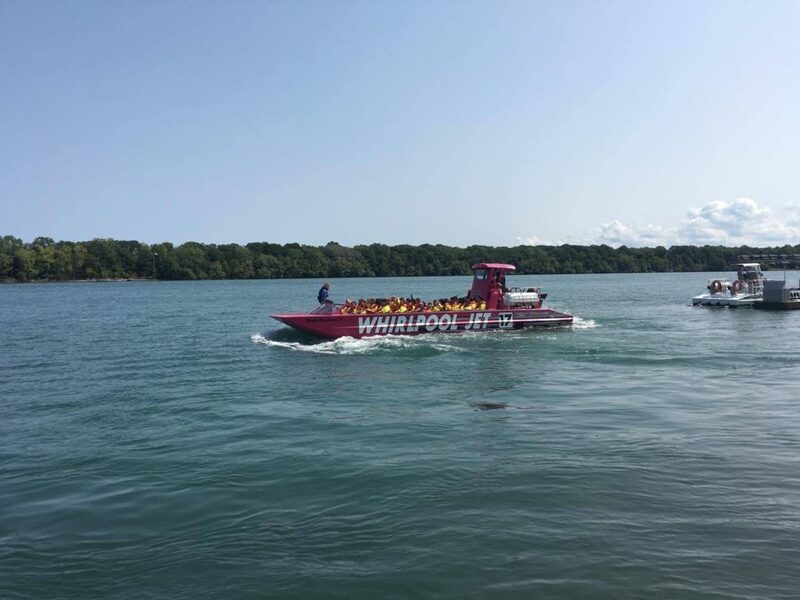 When I was in the area I decided to do a really different activity on the Niagara River called Whirlpool Jetboat Tours. These tours take you on a specially designed jetboat down the river and through their incredible rapids. It’s like a roller coaster but in the water among nature. I had so much fun on this tour and it was definitely a different experience to have and can be a great option if you can’t drink because you are driving home this day. The perfect family friendly activity that will definitely cool you down in the hot summer weather. 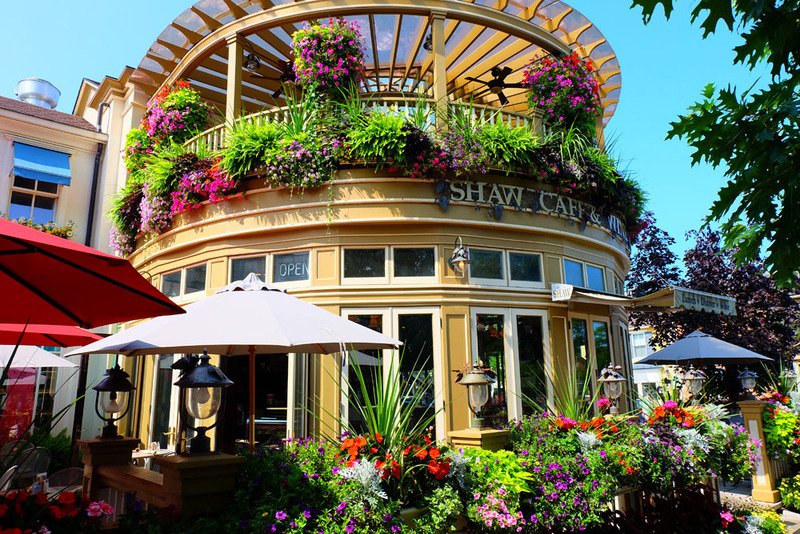 Before leaving town, stop for lunch at the cute Shaw Cafe & Wine Bar located downtown. This adorable cafe has a menu designed for everyone and is filled with great snacks that can complement a glass of local wine like a Canadian cheese plate or bigger meals. 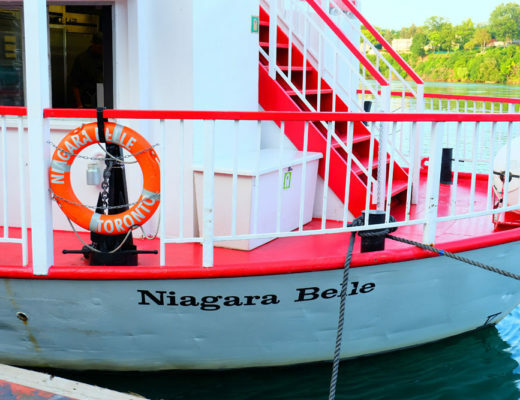 Bid farewell to the gorgeous and cute little town of Niagara-on-the-Lake and head home.